The Home Depot, Quincy and Reading, MA : A122,000 square-foot retail building was developed on time and on budget on the site of a vacant, dilapidated former industrial building in Quincy in 1993. Despite zoning, political, and neighborhood obstacles, the team eventually prevailed. 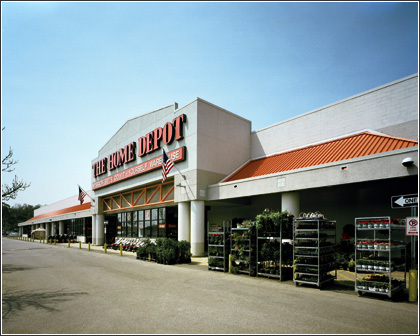 Because of the excellent working relationship and success of the project, Home Depot contracted with Dickinson to build another store � a 140,000 square-foot building to anchor The Crossing at Walkers Brook in Reading. Completed during 2004, this venture marks another successful partnership between one of the world's largest retailers and Dickinson Development.